The solar inverter is the heart of your solar power system and if the heart isn’t working then the whole solar system isn’t working! 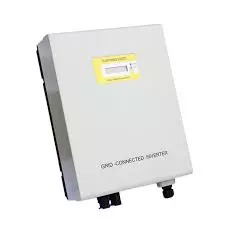 Below is a list in alphabetical order of common grid connect solar inverters installed across Australia with some details such as the inverter manual, datasheet, and information on the fault codes shown on these inverters if they develop a fault. Please be aware that just because the inverter is listed here does not mean we endorse it! 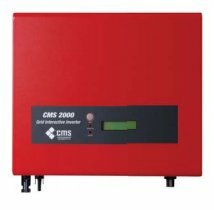 Faulty CMS 1500 or CMS 2000 Inverter? Click here for your options. Carbon Management Solutions did change their name to “CMS Group”, it seems to avoid the warranties on the CMS 1500 and CMS 2000 inverters. Under the new entity “CMS Group” they did release some new inverters, the CMS 1500SS, CMS 3000SS, CMS 5000SS and CMS 10000SS. Unfortunately we have not been able to locate any installation and operation manuals for these inverters. 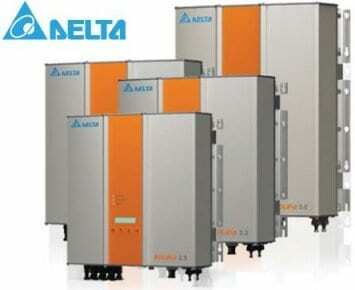 Delta Electronics, the manufacturer of Delta solar inverters is a massive company. The early Delta Solivia solar inverters had a 10 year warranty as standard, the newer range of Delta solar inverters have a 5 year warranty as standard. 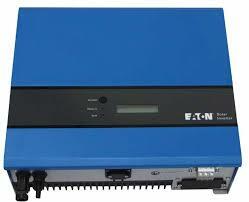 Eaton is a very large company which dabbled in residential solar power inverters for a very short period of time. They still produce very large solar inverters but not inverters that most people will ever see. Eaton ETN 2000 2kW solar inverters came with a standard 5 year warranty. The Effekta company is no longer represented in Australia so unfortunately there is no warranty support for the Effekta range of inverters. 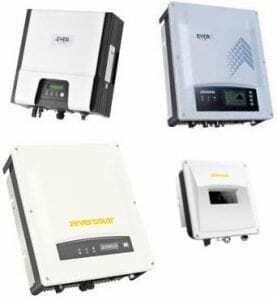 The Effekta ES series of inverters are virtually identical to the SunnyRoo solar inverters, in fact it seems that the original Sunny Roo inverters were direct copies of the Effekta ES inverter series. The same fault codes and errors apply to both types of inverters. 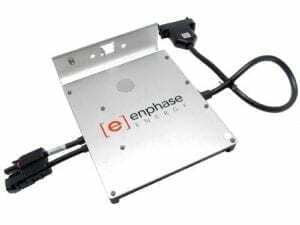 Enphase specialise in micro inverters. Up to 10 year warranties are offered by Enphase. The Eversolar company has changed its name to Zeversolar and at the end of 2012 the SMA Group purchased a 72.5% stake in the company. This has allowed Zeversolar to combine the best of two worlds: Chinese efficiency and German quality standards. The early Eversolar inverters did have a few issues but since the SMA Group took a majority stake in the company the German engineers have gone through all the products and ironed out out the issues. Both Eversolar and Zeversolar inverters come with a standard 5 year warranty. For information on the Eversolar solar inverters such as user manuals, datasheets and fault codes please visit the Zeversolar section of this page. 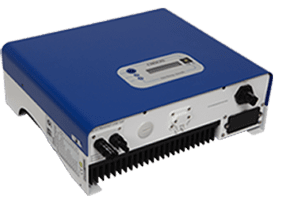 Five Star inverters are actually rebadged JFY inverters and as such have the same user manuals, datasheets and fault codes as the JFY solar inverters. The Five Star solar inverter warranty is covered by JFY as well, so if you are after information on the Five Star solar inverters please check out the JFY section of the page. Fronius is a compnay with a long history of innovation. The early Fronius inverters were the Fronius IG model which has had some problems in the Australian environment but out of all the solar inverter manufacturers Fronius have been the very best to deal with when an issue has arisen. The latest Fronius solar inverters, the Galvo, Primo and Symo range are very good and currently come with an extended warranty of 10 years. Geoprotek solar inverters have been introduced to the Australian market by S.E.A. 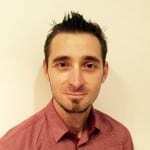 – Solar Energy Australia. Came standard with a 5 year warranty. The Ningbo Ginlong solar inverters are sold under a few different badges with the inverters sold by AGL under the “EKO” brand with Solis being a popular brand as well. 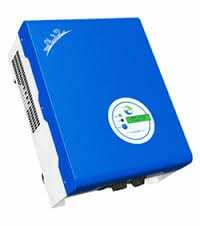 As you can guess from the name Ningbo Ginlong is a Chinese inverter manufacturer with solar inverters which have so far proven to be relatively reliable. These solar inverters come with a standard 5 year warranty. 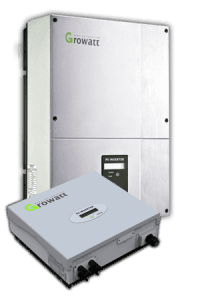 Growatt did have a very large presence at one time in the Australian solar inverter market but this seems to have diminished substantially over the last few years. Growatt have 2 main inverter ranges; the Sungold series and the MTL. 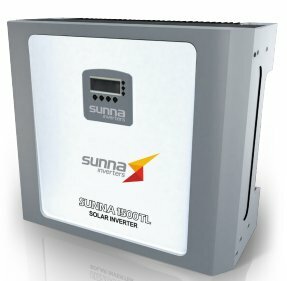 We have seen lots of issues with the Sungold inverters and Growatt have changed their warranty conditions so that they no longer pay labour costs for a technician to come to your property, diagnose the fault, organise a warranty claim and return to your property and replace the faulty inverter when the replacement unit arrives. So if your Growatt solar inverter fails under warranty (standard warranty is 5 years) unfortunately it is going to hit your back pocket. JFY is a Chinese solar inverter company. The JFY inverters come with a 5 year warranty as standard, the JFY solar inverters have also been rebadged as “Five Star Energy” inverters as well; in this case the warranty is still covered by JFY. KLNE (KingLong New Energy) Sunteams solar inverters do not seem to be represented in Australia anymore, it seems that they are still around in Beijing but for warranty issues that doesn’t tend to be very helpful. They did come with 5 years warranty but that doesn’t seem to mean much when you cannot talk to someone in English! 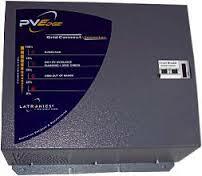 Latronics solar inverters are the only solar inverters that are made in Australia. They came standard with a 5 year warranty; the warranty did not cover the technicians labour costs though. The grid connect inverters that Latronics offered were the PVE1200, a 1.2kW inverter and the PVE2500, a 2.5kW inverter. Please be aware that the Latronics inverters had very unique electrical characteristics, so if you were looking at replacing one of these inverters it will not be a straight swap over; the panels will require rewiring of the solar panels on the roof as well. Macsolar solar inverters have been a bit of a disaster. Within a year or so of them being installed they started having problems and it wasn’t all that long after that they stopped responding to phone calls and emails. 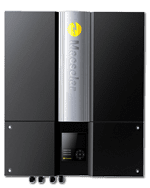 If you have an issue with your Macsolar inverter your options aren’t very good – they were supposed to have 5 year warranties but that doesn’t seem to be of any value when they are not contactable. 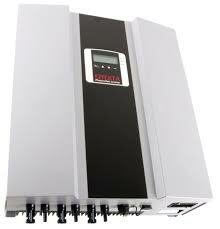 Oelmaier inverters were introduced to the Australian market by a company called Eco-Kinetics. Eco-Kinetics have since gone bust and the Oelmaier company isn’t represented in Australia so there is no after sales support available should you have an issue with your Oelmaier solar inverter. The display on the Oelmaier solar inverters are prone to failure and the whole menu system is very clunky, these have not been a popular inverter. 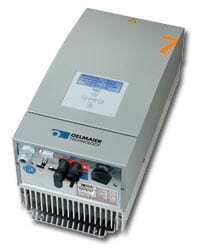 Oelmaier solar inverter user manual – currently not available. Do you have one? We’d love to add it! 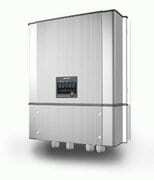 Orion solar inverters have been introduced to the Australian market by S.E.A. – Solar Energy Australia. 2 kW inverter that came standard with a 5 year warranty. Samil have sold many solar inverters around Australia and a lot of them (especially the SolarRiver model) are now coming up with Relay Fail error messages. Samil solar inverters come with a 5 year warranty but lately Samil are taking around 3 months to send out a replacement inverter when a fault is reported under warranty and they are no longer paying the labour costs of a technician replacing the inverter for you. So if you have a fault with your Samil inverter you are going to be up for some money out of your pocket. S.E.A. stands for Solar Energy Australia. Please see Geoprotek or Orion for inverters they have introduced to the Australian market. Sharp only ever introduced 1 solar inverter into the Australian market, the Sharp JH1600e. Unfortunately we have seen a number of issues with these Sharp inverters and these issues used to be covered by Sharp under the 5 year warranty – alas not any more. SMA is a German company which up until recently manufactured all their solar inverters in Germany. SMA are one of the most trusted names in solar power inverters with products that have proven to be robust and reliable, that is maybe except for the LCD screens when installed in direct sun – they tend to fail! SMA solar inverters come with a 5 year warranty as standard. SolarEdge provide premium solar inverters which harvest the maximum amount of power possible from your solar panels whilst providing full system monitoring down to module level, increased safety benefits and industry leading warranties. At Gold Coast Solar Power Solutions we highly recommend SolarEdge solar inverters. 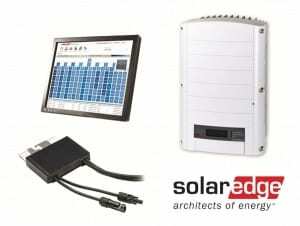 For more information on SolarEdge products please click here. 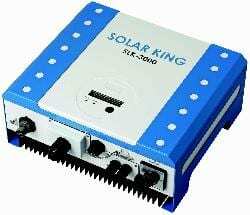 Solar King solar inverters produced the SLK range of inverters. These inverters were a grey import imported by an unknown company in Australia from PCM SolarKing in Taiwan. 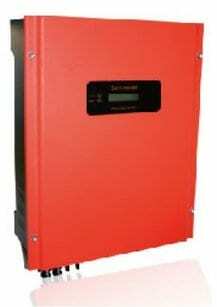 We are getting a high level of calls in regards these SolarKing inverters, we can’t assist with warranty in anyway. We recommend that you contact the company that installed your SolarKing grid connect inverter for warranty claims. If they try to dismiss you take action to enforce your consumer rights via consumer affairs in your state. Sungrow is now the world’s largest manufacturer of solar inverters with an inverter range that has proven to be quite reliable. The older KTL-M range of Sungrow solar inverters did come standard with a 10 year warranty, that’s 10 year warranty on parts and 5 years on labour. With the newer KTL-D range the standard warranty has been dropped to 5 year parts and labour. The manufacturer of Sunna solar inverters disappeared a long time ago unfortunately and when they went so did the Sunna inverter warranties. For Sunna solar inverter data sheets please see Sunny Roo below as they are the same product. Xantrex solar inverters were originally made by a Canadian company but have since been bought out by Schneider Electric. 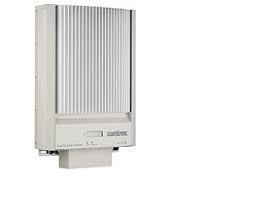 Xantrex solar inverters have been quite reliable however we have seen many of the LCD screens play up. 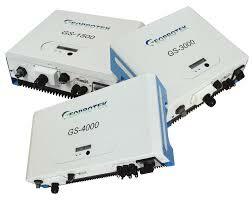 Xantrex solar inverters came with a 5 year warranty and had 2 models, the 2.8GT and 5.0GT. The Eversolar company has changed its name to Zeversolar and is now a wholly owned subsidiary of the SMA Group. Being part of the SMA Group has allowed Zeversolar to combine the best of two worlds: Chinese efficiency and German quality standards. I live in Canada, I was wondering if you have a viewer software for my WiFi Aero-Sharp inverters. Sorry Doug, we don’t have access to any Wifi viewing solutions for Aero Sharp solar inverters. the user manual explains how to connect the arial but not the wifi button.